Why the change? 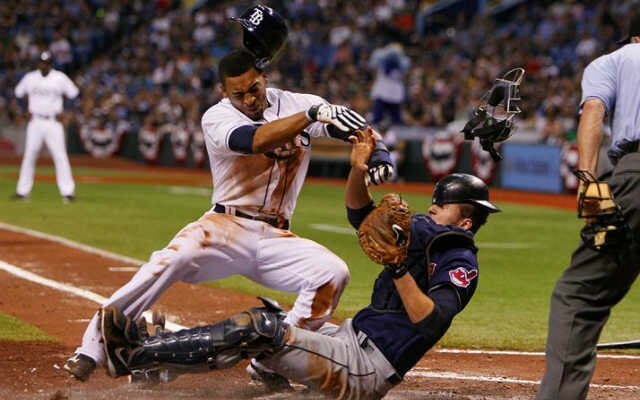 MLB says it’s going to keep players safe — both runners and catchers. They point to examples such as Ray Fosse, Josh Thole, and Buster Posey. Former MLB catcher and Cardinals manager Mike Matheny is a staunch supporter; ironically, the chronic post-concussion syndrome that ended his career was due to foul tips slamming into his mask and helmet. I disagree that the new language is going to help anyone — in fact, I’m betting it will make things MORE dangerous, because runners and catchers are going to be confused about where they’re supposed to be, and they’ll be thinking in the heat of the moment instead of reacting. And as for Matheny, I wish he would’ve put as much energy as did in this campaign, into changing the MLB rules so that the hockey goalie-style headgear — that Matheny helped make popular, and didn’t adequately protect him — would be eliminated. Personally, I don’t understand why this language was necessary — the rules are/were already pretty clear in terms of what fielders at any base can do and not do depending on whether or not they have possession of the ball. Further, this new rule is written in a much different style from the rest of the rule book; it’s inconsistent in style — though, that’s just me being nit-picky as an editor.